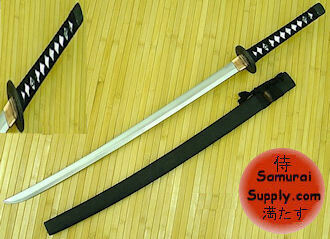 The strong yet beautifully simple design of this Rittersteel Competition Samurai Sword is intended for those in the martial arts who compete and use their weapons daily. This sword boasts a thick hand forged blade sandwiched between two pieces of polished ebony wood and pinned with three brass pins. 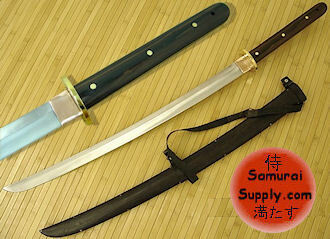 A must have for the real modern day Samurai. 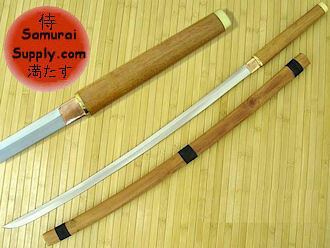 This Rittersteel Competition Katana Sword is on sale now and qualifies for a 30 day money back satisfaction guarantee! 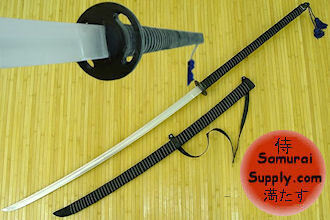 Purchase this sword now and get an amazing sale price and peace of mind knowing that SamuraiSupply.com stands 100% behind their products!